Monaco’s prime position on the French Riviera gives this popular destination year-round mild weather and plenty of sunshine. Of course it’s most popular during the height of the summer season when average high temperatures are in the mid 20’s Celsius and there’s very little in the way of rainfall. 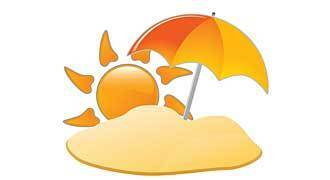 In July and August you can actually enjoy over 300 hours of sunshine. While Monaco has pleasantly warm temperatures it never gets too hot here thanks to the gentle breezes blowing off the Mediterranean, so even in the height of summer it’s not hot for sightseeing. Winters in Monaco are brief and mild though be aware that this is when the majority of Monaco’s rain falls. The lowest you’ll find the temperatures is usually in January when the average high drops to around 12C, but by April it’s back up to 16C already.